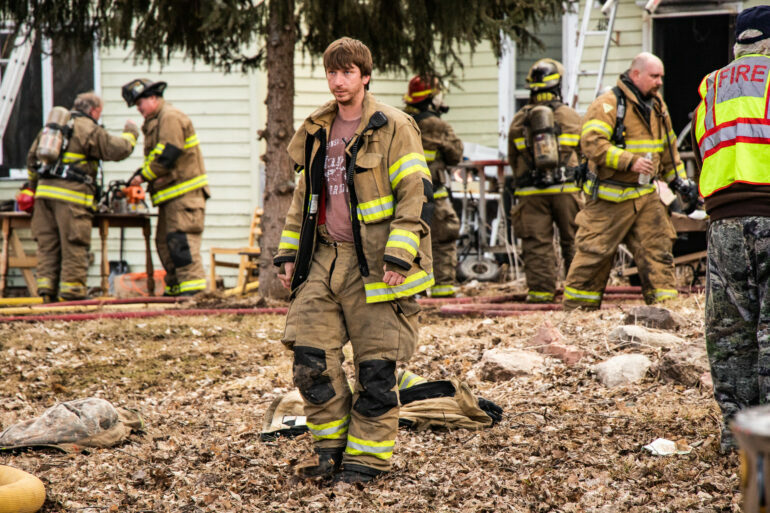 Firefighters responded to a house fire on Cottage Avenue on Tuesday around 5 p.m.
Matthew Callahan, Vermillion Fire-EMS Department fire chief, said firefighters arrived on the scene and found heavy smoke coming from the back of the home. “The fire was contained to the back laundry room and attic space with moderate to severe smoke and water damage to the rest of the home,” Callahan said. Two adults and four children have been displaced with the help of the Red Cross. The family was not present for the cause of the fire, but found the fire after returning home. No one was injured in the fire, as the residents were outside the home at the start, but the house faced severe damage in some parts. “Two hose lines were deployed, searches were done and everyone was out of the house,” Callahan said.